With epoxy resin flooring being the flooring of choice for many industries that include food and beverage, automotive, medical, manufacturing, and working garages. Resin flooring is known for its tried and tested track record and phenomenal performance in a variety of working environments, which is due to the characteristics and ability to provide a hygienic and slip-resistant floor. 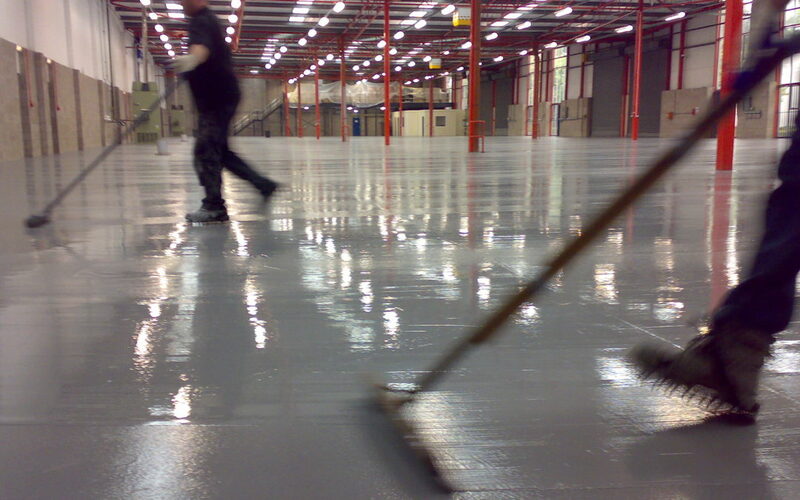 Here at REME Industrial Flooring, we are proud to provide a service that delivers durable and versatile flooring solutions to the United Kingdom. The team at REME Industrial Flooring are more than happy to discuss with clients the many benefits of a resin floor, which we hope will help you discover that our durable floors will indeed considerably improve your working environment. We will discuss any specific requirements that you may have to ensure that a resin floor is suitable for you and to find out which resin flooring system will benefit you the most, so do not hesitate to get in touch. Should you wish to enquire about our versatile flooring solutions, our team are more than happy to answer any questions that you may have, with the opportunity for our team to provide you with a free no obligation quotation for industrial epoxy resin flooring in your industry sector. Let us guide you through the process until your floor is installed and we are certain you will fall in love with your new durable, hygienic, easy-maintenance flooring solution from REME Industrial Flooring Ltd.